David M. Trubek is Voss-Bascom Professor of Law and Dean of International Studies Emeritus at the University of Wisconsin-Madison and a Senior Research Fellow at the Harvard Law School. A graduate of UW-Madison and the Yale Law School, Professor Trubek served as law clerk to Judge Charles E. Clark of the 2nd Circuit Court of Appeals and as Legal Advisor to the USAID Mission to Brazil before entering the academy. He joined the UW Law School faculty in 1973 and served as Associate Dean for Research from 1977 to 1984. During this period he also was Director of CLRP, the Civil Litigation Research Project, which was supported by the US Department of Justice. In 1985 he founded the UW's Institute for Legal Studies which he directed from 1985-90. Professor Trubek was appointed as University Dean of International Studies in 1990 and became the founding director of the UW-Madison International Institute in 1995. After stepping down as Dean and Director of the Institute he ran the Center for World Affairs and the Global Economy (WAGE) from 2001 to 2004. Dean Trubek served as Principal Investigator of LANDS, the UW-Madison project on Law and the New Developmental State and the related project on Law and the New Developmentalism at Harvard's Institute on Global Law and Policy (IGLP). He currently serves as co-Director of GLEE, the Project on Globalization, Lawyers, and Emerging Economies based at the Harvard Law School and as co-coordinator for IGLP's Project on Rethinking Trade and Investment. Dean Trubek has taught at Yale and Harvard Law Schools, the Catholic University Law School in Rio de Janeiro and the FGV Law School in São Paulo and has been a Visiting Scholar in Residence at the European University Institute in Florence, the Fundacão Joaquim Nabuco in Recife, Brazil, the London School of Economics, and the Maison des Sciences de L'Homme in Paris. He received the Kalven Prize from the Law and Society Association and in 2002 was appointed Chevalier des Palmes Academiques by the French Government in recognition of his work on globalization. 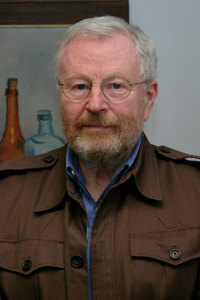 He has written extensively on international and comparative law as well as other topics in legal studies and has published articles and books on the role of law in development, human rights, European integration, the changing role of the legal profession, and the impact of globalization on legal systems and social protection schemes. He has also made contributions in critical legal theory, the sociology of law, and civil procedure. His most recent books are: The Brazilian Legal Profession in the Age of Globalization (co-editor) (2018); Law and the New Developmental State:The Brazilian Experience in Latin American Context, (co-editor) (2013), Direito e Desenvolvimento: Um Dialogo Entre os BRICS (with M.Schapiro) (2012), Direito, Planejamento e Desenvolvimento do Mercado de Capitais Brasileiro 1965-70 (with Gouveia Viera and Sa) (2nd edition 2011) and The New Law and Economic Development: A Critical Appraisal (with A.Santos) (2006) Dean Trubek currently lives in Brooklyn NY but visits Madison from time to time.